The star’s foul-mouthed pensioner was one of the most popular creations from The Catherine Tate Show, which ran from 2004 to 2009. The TV series also featured schoolgirl Lauren “Am I Bovvered” Cooper and Tate’s grandmother character later returned in one-off TV specials. She told David Tennant Does A Podcast With: “I’ve written a Nan film, which is great fun! “I do think that’s probably the one (character) that’s got the legs to carry on. She said the character had lived on with new generations because of Facebook and YouTube. Tate also told David Tennant Does A Podcast With… that the BBC did not promote The Catherine Tate Show before it took off. “It was a sleeper and they buried it and in the BBC’s wisdom they didn’t really give it much promotion,” she said. When they asked the BBC why, “they said no-one knows who she is. I mean typical BBC stuff”, Tate said. Tennant also told her former Doctor Who co-star that she auditioned for drama school four times. She was a “painfully shy” child and could not open her mouth at school “without stuttering or going red. I was just petrified”. Tate developed her funny bone because she did not want to be seen as “the ginger one or the shy one… or the fat one”, she said. 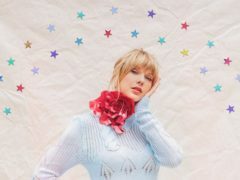 “For a brief time, I was the target of awful teenage girls’ insidious bullying.. and I turned it around, got into a new group of people… I rebranded myself. 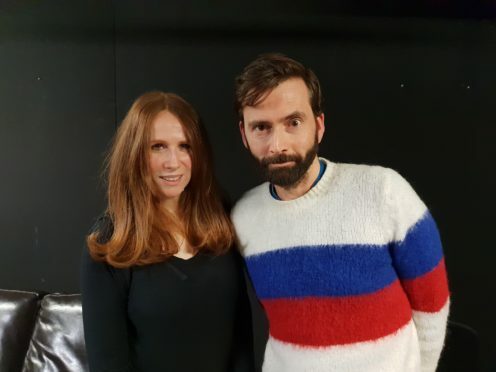 David Tennant Does A Podcast With… starring Catherine Tate, is available on streaming services including Acast.